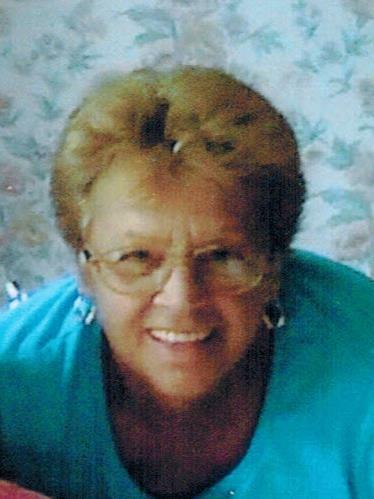 Barbara A. Grondell, 77, of Salem, NH., passed away on April 11, 2019 at the High Pointe House in Haverhill, MA. She was born to the late Joseph H. and Margaret A. Dolan, December 10, 1941 in Boston, MA. Barbara graduated from Cardinal Cushing Central High School in South Boston in 1960. She was married to the late Adolph A. Grondell (Wes) in 1962 and lived in the Boston area till the early 90's when they moved North to Salem NH. where they lived for over 25 years. Barbara is survived by two children: Marilyn and her husband Daniel V. Todesca of Virginia Beach, VA and Alfred J. Grondell of Salem, NH. She is also survived by two grandchildren: Alex J. Grondell of Wilmington, MA., and Angela R. Todesca of Virginia Beach, VA, and a great grandson Alexander D. Grondell of Wilmington, MA. Her brother Ronald Dolan and his wife Susan of Jacksonville, FL., Her two sisters Joanne Boutchia and her husband Michael of Hooksett, NH., and Susan A. Hopkins and her husband Bob of Woodbridge, VA. a brother in law Alfred J. Grondell of San Diego, CA. as well as multiple nephews and nieces. Barbara was predeceased by her husband in 2017. Barbara was a dedicated wife and mother who gave her all for family and friends. She was a great cook and liked to have family dinners on holidays when we would all have time to sit down at a dinner table together for a good meal. She likes to sit by her pool with her grandchildren on beautiful summer days. She enjoyed spending time at the casino with her husband Wes. She really liked her job of shuttling cars for well over 30 years and all the good friends that she made at her work. Barbara was a wonderful person who made friends easily and was loved by many. God Bless Barbara. Friends may call on Thursday, April 18, 2019 from 4 to 6 PM at the Goundrey & Dewhirst Funeral Home, 42 Main St., Salem, NH. A service of remembrance will begin at 6 PM in the funeral home chapel.